Regenerative endodontics is the application of tissue engineering concepts into the treatment of the pulp-dentin complex. We all know that the pulp has regenerative/healing properties. We routinely tell our patients that the restorative treatments that we do will cause inflammation/irritation to the pulp. Occasionally, we even encroach upon the pulpal space and then medicate the pulp in an effort promote pulpal healing and repair. The formation of reparative dentin is evidence of the pulp's ability to regenerate/repair dentinal tissues. Regenerative endodontics is currently in its infancy. However, the possibilities are exciting and the research is ongoing. 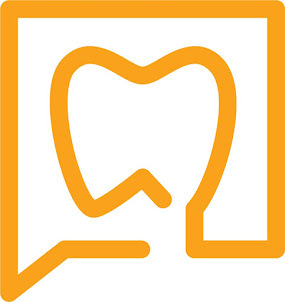 Regenerative dental therapies may one day lead to more effective vital pulp therapy, more effective treatment of immature teeth, traumatized teeth, and possibly the replace of missing teeth with bioengineered teeth. Current clinical success in regenerative endodontics is seen in the treatment of necrotic, immature teeth with apical periodontitis. 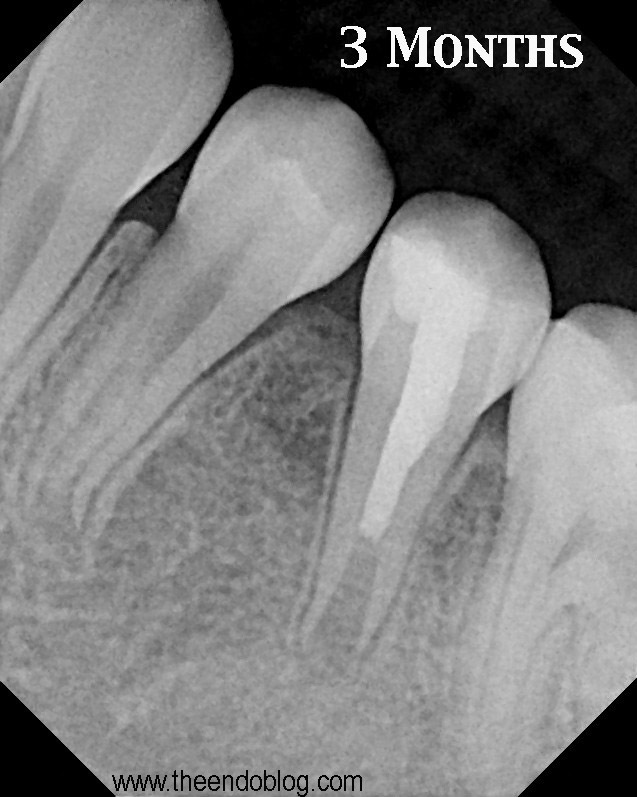 The following case, treated at Superstition Spring Endodontics, has shown ideal pulpal regeneration allowing for the continued development of an immature root. 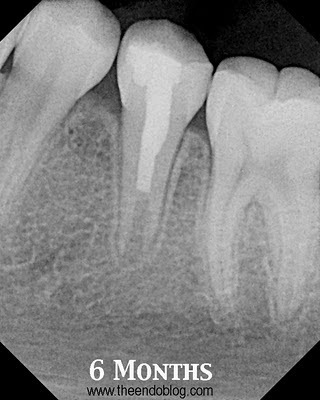 A necrotic tooth #29, with a large periapical lesion, and wide open apex is selected for regenerative endodontic therapy. The canal accessed and the pulp completely removed to the apex with minimal filing and copious NaOCl irrigation. 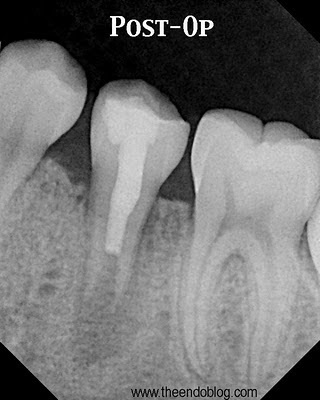 A coronal MTA plug is placed to prevent coronal leakage, while the apical portion of the tooth is left wide open for regeneration. 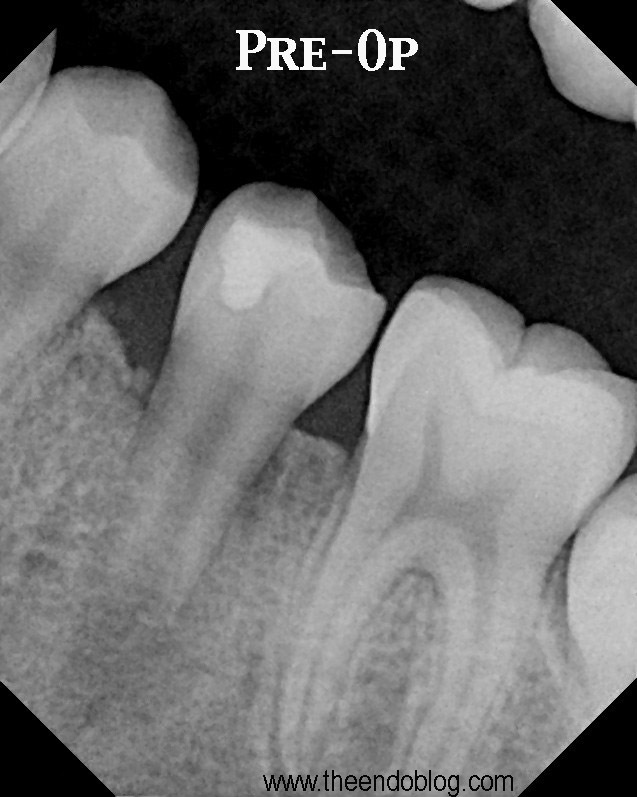 At 3 months, the large apical lesion has healed. At 6 months, the apex is thickening and lengthening. At 6 years, the canal has closed, root has lengthened, and the tooth is now responding to electric pulp testing. This procedure has allowed this patient to retain a tooth that otherwise may have been lost. 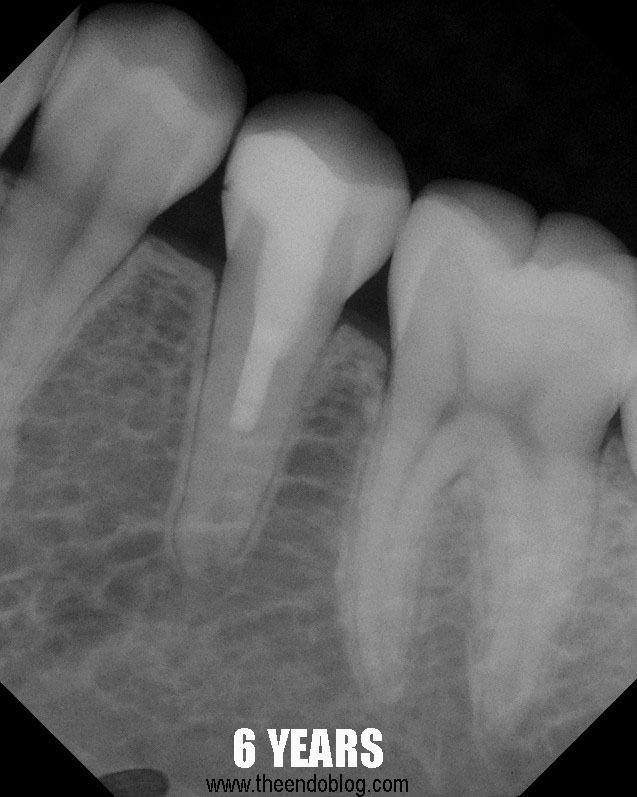 The future of regenerative endodontics is bright and exciting. Hey this is Robert. Just stumbled upon your site and found quite informative stuffs out here. Root-canal therapy is good for teeth. And regenerative endodontics, I think, efficiently helps replace damaged and missing pulp which is truly beneficial to the patients. You informations are qite updated. Will be revisiting your site for more such future posts. Excellent follow up of the case! MTA with its cementogenetic and biocompatible properties, is here to stay! Beautiful case. In situations like this are you not concerned using NaOCl irrigation? What percentage do you use? Why not CHX? It is a great case report. However, I just can not believe the tooth responded to EPT at the 6-year recall. I am thinking the vital tissues, if do have, exist far away from the pulp chamber. How can it be response to vitality test? This case is a good model for regenerative endodontics. Thanks!